The IoT Week 2018 gathers top experts, innovators and stakeholders in the In-ternet of Things to address and identify emerging trends and technologies that will have a short-medium impact on different sectors. 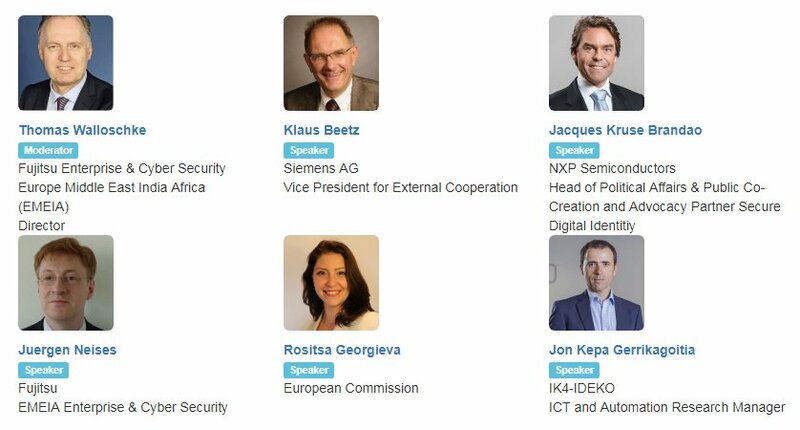 Jon Kepa Gerrikagoitia, head of ICT and Automation at IDEKO, took part in the workshop session with the name “IoT in Manufacturing: Enabling Industry 4.0 – Insights from Industry”, along with other key speakers from Fujitsu, Siemens and NXP. With several billions of internet connected devices all around the globe, IoT is already disrupting a wide range of sectors and applications in both industrial and consumer settings. However, all recent market research reports agree that the lion’s share of IoT’s business value in the years to come will stem from deployments in industry in sectors like manufacturing, supply chain manage-ment, energy, mining, intelligent buildings and public infrastructure projects in smart environments such as smart city projects. In particular, industrial IoT (IioT) use cases like predictive maintenance, flexible automation, zero defect manufacturing and supply chain management optimization are gradually finding their route to the enterprise and already generating ROI (Return-on-Investment) for industrial organizations. In the European Union, IioT excellence is a key to ensuring European leadership in the digital transformation of plant and supply chain operations as part of the fourth industrial revolution (Industry 4.0). The 11th Working Group (WG11) of the Alliance for IoT Innovation (AIOTI) is consolidating information and best practices about the IioT technologies for manufacturing, including relevant results from IoT projects. This session aims at providing an overview of IoT solutions for manufacturing, including all relevant trends such as mainstream standards and architectures, the expanded use of edge computing, the potential of blockchain technologies and the im-portance of solid cybersecurity solutions. It will also present tangible IioT use cases in manufacturing that new production models and enable highly flexi-ble and hyper efficient plants. The development of new business models based on IoT, were a constant and a challenge to address. IDEKO and Danobatgroup played an important role in the agenda as a case of success in the industry digitization. Among the speakers, there were key people from the private sector, academia as well as from research centers. Taking this opportunity, the IoT Week held also the AIOTI (Alliance for Internet of Things Innovation) general assembly. An interesting week for a technological update on the state of the art, discover success stories and good practices. The ending gala dinner, at the San Mamés stadium, didn’t leave anybody indifferent.